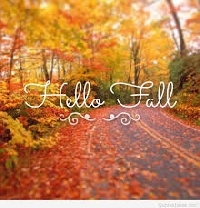 Fall is upon us! And as such, time for a fall-themed postcard series! You will have 2 partners to send a postcard featuring something relating to fall on it. Postcards are to be sent naked and stamped. Your postcards of choice can feature anything fall-ish - think leaves, colors changing, bonfires, hoodies, pumpkin spice stuff, etc - as well as any type - art, realism, etc. Postcards should be store-bought. Zazzle/Postcard Fair okay. No ad/free/handmade.